When I started full-time in my portrait studio over 20 years ago, I started as many people do – loving photography and wanting to offer people the best possible photographs for a better price than the competition. I was never the “cheap” photographer and I always felt my work was great, but I did shoot an average of 100 weddings a year in addition to other shoots too. I continued to shoot daily while also getting recurrent training to be a PPA Master and PPA Craftsman. Over time my skills improved, my equipment improved, and my mind was opened to new ideas and new levels of quality. I realized that I could offer my clients something even better, something so incredible and amazing, something that just wasn’t available. I could offer them even more personal touches and connection for the best photography on their wedding day, as well as the art and design of the best possible album to showcase that incredible photography. But putting this much time into one wedding would mean limiting the number of weddings I shoot and putting a lot more time into each one. What I wanted to do meant a vast investment in time, money, and expertise. It meant not doing what everyone else was doing. It meant not hiring teams of cheaper photographers to go shoot for me because no one can quite read the light or people’s personalities and bring out the best of both lighting and personality as I can. And for the finished product, it meant no peal-and-stick albums, no “drag-and-drop” or “auto-design” software, no cheap online books, and not sending the design off out of the country to some cheap designer that wasn’t at your wedding and doesn’t understand your personality. When I shoot your wedding, I get to know you and I also pick up on your inner-fears of what you like and don’t like about yourself. I know how to direct you and light you to make you look your best, I know how to bring out your true personality. 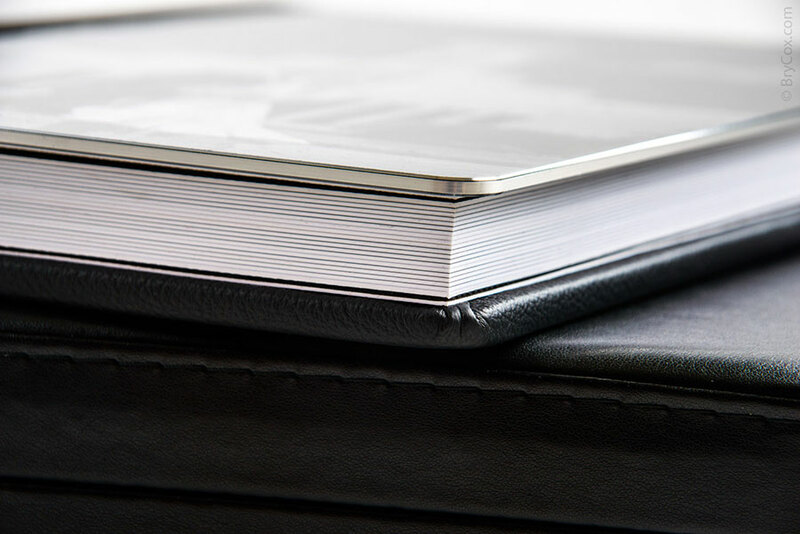 And that personal one-on-one experience helps me know how to retouch you and design your book so that you absolutely love every single image and every single page design. There’s a special skill in knowing how to make people look amazing in any condition, in any weather. And there’s another skill in delivering heirloom products to my clients. I work to provide the best of both. It means I’m not comparable to the cheaper photographers around, but I believe strongly in photography. Of everything we spend our money on in weddings (flowers, food, dresses, locations), photography is the only thing we pass down to our children. And I want to create something that you love your entire life, something that makes you happy every time you enjoy one of my images. And I want to create something that your kids fight over when we’re all dead and gone. I can help you over phone and answer most of your questions about your wedding day. Call me and let’s chat, and if it sounds good to you, then let’s visit in person too so that you can see my albums first-hand. 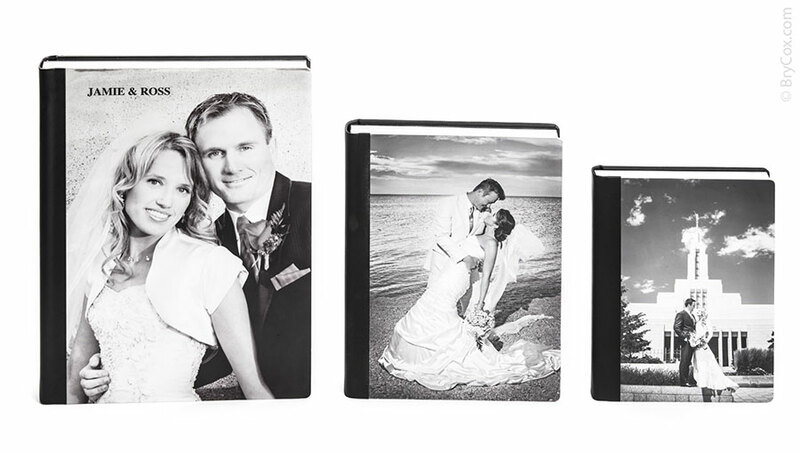 When I shoot your wedding, albums are not an add-on – they’re included. I only shoot weddings when I can do them right, and part of that is finishing them perfectly for my clients. 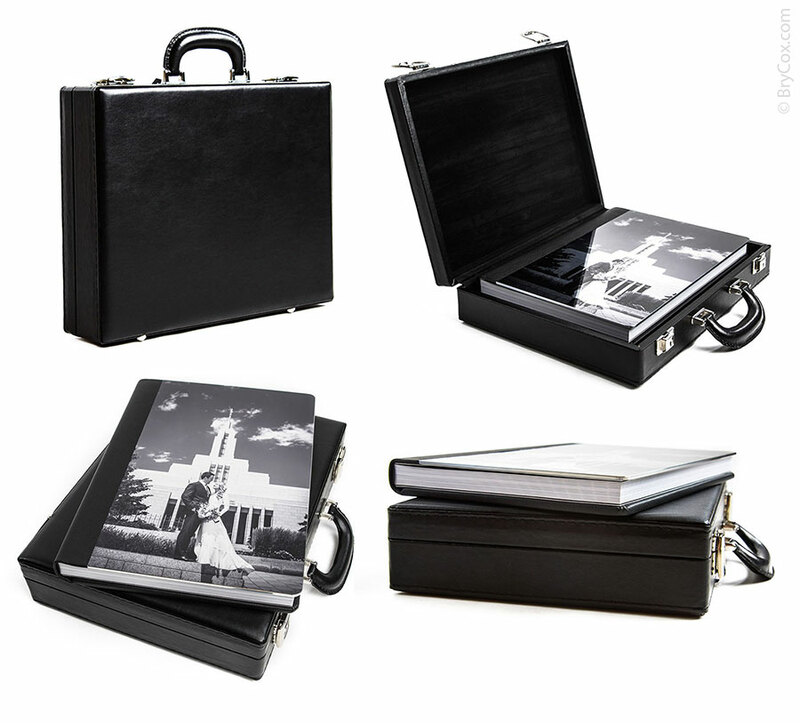 I have a number of wedding collections in varying price options, and larger packages include larger albums. Available in 4 sizes: 9½ x 13 (on the right), 12×16 (middle), 14×18 (not shown), and the largest 16×20 (on the left). To learn more about me, see lists of awards, or to see more images go to my main website, BryCox.com. And call me at 801-728-3317 to talk more about your wedding, get general pricing, and to ask any questions. I look forward to hearing from you.